This distinctly Pokemon-themed battlefield means that Trainer vs Trainer battles will be arriving soon! 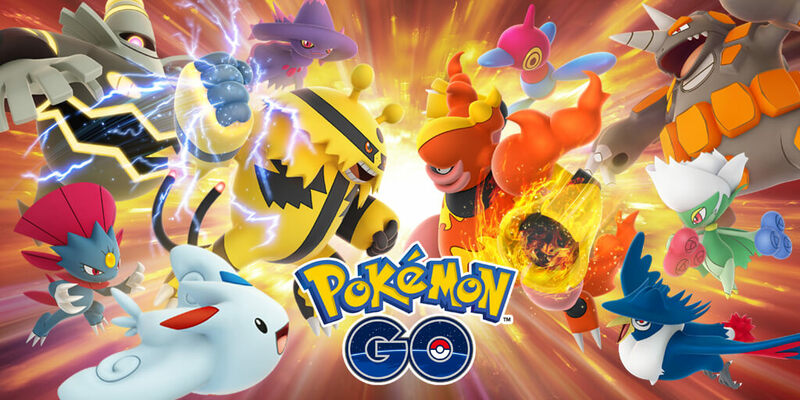 Several prominent Pokmeon GO players/accounts have also spoken about a top-secret event that gave a few choice players a chance to try the new battle system! At 3:00PM PT, Niantic Japan also released more information on how the system will work. There will be three "Leagues", called "Great League", "Ultra League", "Master League". The leagues are separated by CP; 1500 or less for Great League, 2500 or less for Ultra League, and unlimited for Master League. Pokemon will battle in teams of three. On December 4, Niantic released more information on how Trainer Battles will work. "When Trainer Battles are completed, both participants will receive great rewards, including a chance at rare Evolution items." Training with the team leaders will earn rewards once per day, and increase your progress towards an Ace Trainer medal! The feature will be released "As soon as next week, and will definitely be out before the end of the month." See below for full announcement details. Stay tuned as we prepare to reveal more information about Pokémon GO Trainer Battles. During this time, we encourage you to get ready by reviewing the Pokémon in your Pokédex and creating battle parties for each league.